The ultimate summer getaway is finally here! 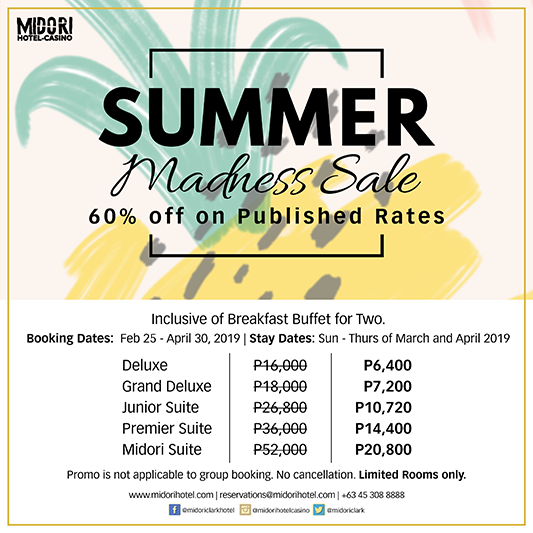 Stay at Midori Clark Hotel and Casino, Play at Mimosa Golf Course and Splash at Aqua Planet! 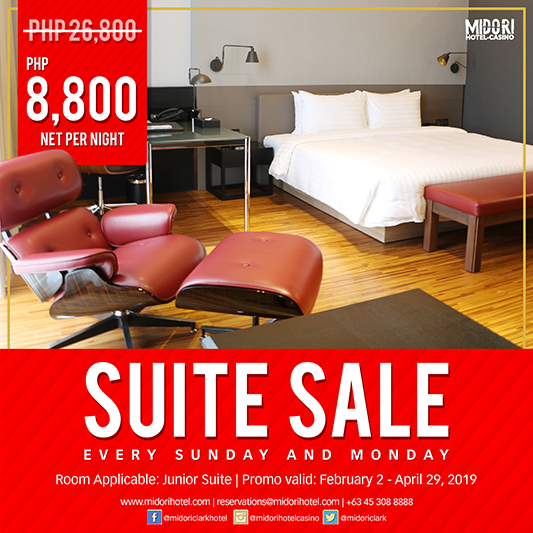 3 days and 2 nights stay leisure escapade is only P27,000 for two persons. -Two nights stay in a Superior Room with a breakfast buffet for two at Toscana Dining. -18 Holes play for two at Mimosa Golf Course. -Two entrance pass at the Aqua Planet. -Complimentary transportation service to and from Mimosa Golf Course and Aqua Planet. -Complimentary 90 minutes massage for two at Chan Spa. -Promo is not valid every weekends and holidays. Rebooking and cancellations are not allowed.